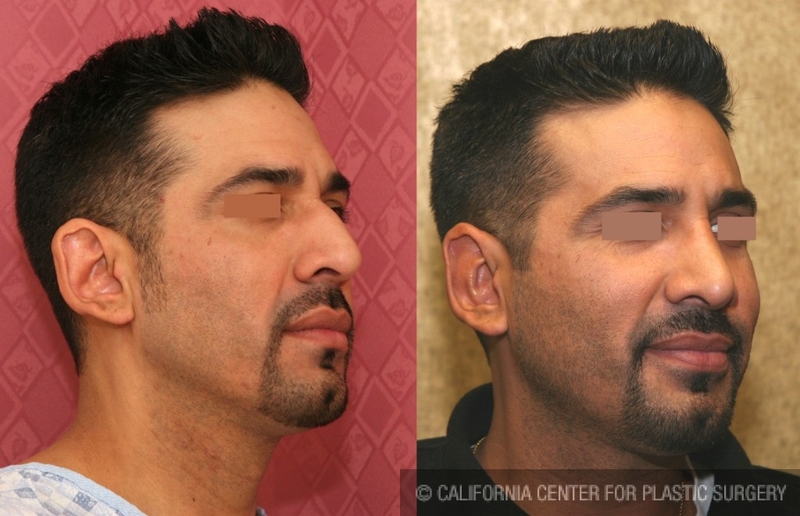 Before and after nose surgery pictures shown here are that of a 40 years old Hispanic man from Los Angeles who had rhinoplasty and otoplasty, otherwise known as ear pin-back surgery. He was unhappy with his “hook-like” nose and protruding ears. 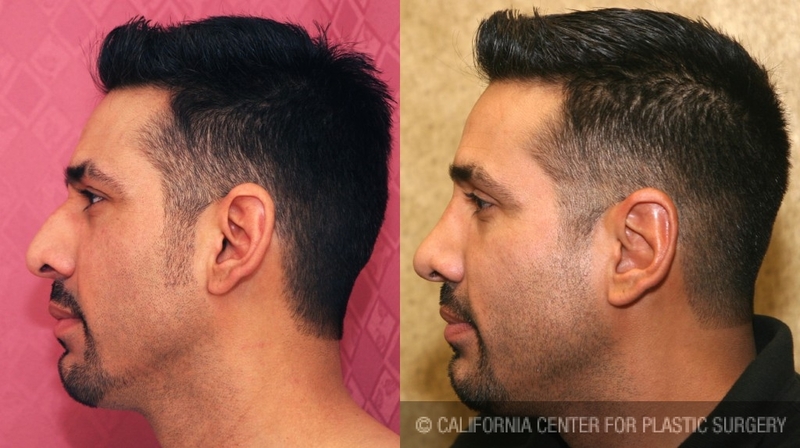 During his cosmetic surgery consultation, Dr. Sean Younai who is a board certified plastic surgeon reviewed with him options for closed vs. open rhinoplasty and the advantages and disadvantages of each rhinoplasty technique. He also explained to him about rhinoplasty recovery tips and steps to take to facilitate his healing after surgery. 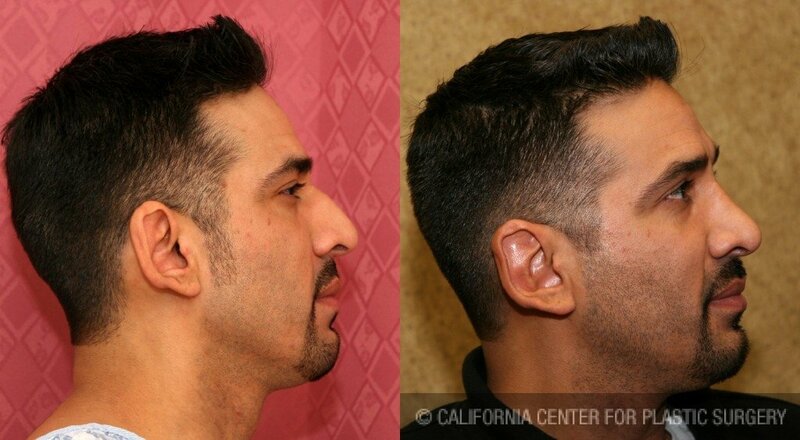 As noted in his rhinoplasty pictures, he no longer has a large nasal hump and has a straighter and more refined nose. His ears are also pulled back and now fall within the frame of his head. This middle age man did very well with his rhinoplasty and otoplasty surgery and is very pleased with his overall facial appearance.